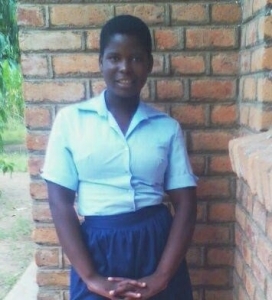 When Margaret began secondary school at Namalowe CDSS in Malawi’s Mulanje district, she worried about the long distance she would travel to and from school. At 5:45 AM each morning she began her trek to make it to class at 7:30 AM. Margaret was usually late which resulted in after school detention and returning home in the early evening. Often times Margaret missed two to three days of school a week because of the travel burden. When she did make it to school she was tired, weak, and hungry. This only added to her burden and made it difficult for Margaret to concentrate on her studies. She was at risk of dropping out of school. To cut back on travel time and keep Margaret from missing school, AGE Africa included a bicycle as part of the comprehensive scholarship to help for her school fees. With her new bicycle she says, “it takes me 30 minutes to go to school and another 30 minutes home unlike in the past when it used to take me two hours.” Margaret’s back on track to finishing school. When Mariam was 15 years old her mother passed away. She became the sole provider for her brothers and sisters. Faced with a tremendous responsibility, Mariam tends a small harvest of corn and peas to feed her siblings. Often times, there is not enough food for Mariam to eat and she goes to school hungry. Despite this struggle, Mariam continues to attend school and be a role model for her brothers and sisters. At home in Issa’s Village, Patuma receives little support from her parents for her educational endeavors. Neither her mother nor step father have much interest in education. 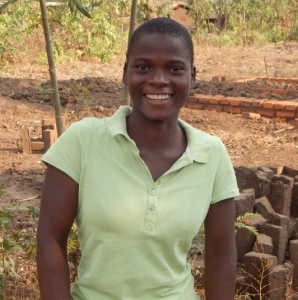 They believe that girls Patuma’s age should marry, have children, and maintain a household. Living in a nation with one of the highest child marriage rates in the world, Patuma has defied the odds by resisting marriage and staying in school. Patuma receives a comprehensive scholarship from AGE Africa to help pay her school tuition and provide her with toiletries and school supplies. Patuma feels that her AGE Africa scholarship has enabled her to stay in school by providing her with a support base of peers and mentors through CHATS as well as alleviating some of the financial burden of attending school without support from home. 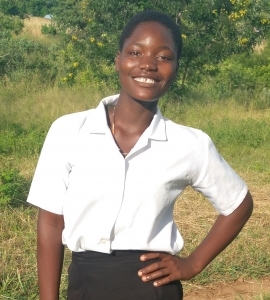 With graduation within reach Patuma dreams of one day becoming a nurse. Prior to receiving an AGE Africa Scholarship, Fatima would return home from school each day at 6 PM to help with farming in order to raise money for her school fees. Because of Fatima’s obligations, she was unable to attend school study circles, and often missed AGE Africa’s CHATS Girls Club. Fatima’s situation also often made her late for school. Despite being a talented and promising student her performance began to suffer. When Fatima received an AGE Africa comprehensive scholarship, she no longer had to worry about raising money for school fees, school supplies, and toiletries. With the alleviation of some of her financial burden, Fatima has more time to concentrate on her studies. Fatima’s scholarship has enabled her to utilize her talent and thrive academically. Since receiving a scholarship Fatima’s performance in school has improved and she is now making steady progress toward graduation. Because of bad financial situations, and social and cultural norm few women from Fatima’s community have been able to complete a secondary education. Fatima is eager to graduate and become a role model for other girls in the community. Odeta was born with a physical disability and is only able to walk short distances. The rocky base of Mount Mulanje where Odeta lives makes it difficult for her to get around. The walks to and from school used to be long and extremely painful. Odeta was frequently absent and her grades began to suffer. When Odeta was selected to become an AGE Africa scholar and receive a comprehensive scholarship to support her school fees – she also received a bicycle. Odeta no longer walks to school. Her brother rides her on the back of the bicycle to school. You can see the excitement in her eyes when she speaks about excelling academically in school. 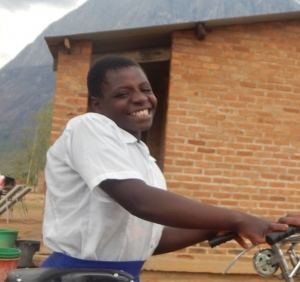 “With the bicycle, I am able to get to school early and study more.” She tells us. “I am able to study at home a little too”. 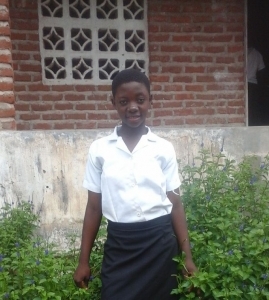 Odeta wants to give back to her community after she is finished with secondary school. She hopes to one day work as a nurse and help others with disabilities. AGE Africa is proud to support Odeta’s next three years of secondary school and beyond!